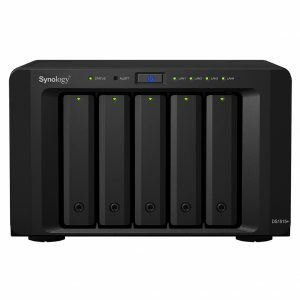 NAS – Is Synology Diskstation something for you? We have many NAS devices and servers. It’s hard to do choose between all the devices and brands. In this article, we will discuss the Synology Diskstation. I own two Diskstations (DS) and are very happy with my diskstations. 2.1 My Diskstation and why I choose it. 9 Want to read what I think about some of the diskstation? NAS is short for Network-attached storage and can be both a hard drive with the ability to connect to a network or advanced computer without a monitor. You usually set up and access the NAS with a computer through the local network and later you may also access it through the internet if the NAS support it. An often used backup solution is to use a NAS. This way you can backup important files on a storage place that will be accessible 24/7 for all who have access to it. Some also support access from the internet to its internal web server or use of apps. Some are more advanced and have multiple uses. The NAS can be a media server, VPN server and web hosting to mention some of the most common functions. Synology has products designed for the different needs and provides the tools to help you choose what you need. I have played around with computers since I was a kid. My first computer was a Commodore 64, and later I got my first PC. The computer had an Intel 486SX CPU. I used them mainly to play games on, but I also tried to code a bit and play around with other functions. Some years later I turned an outdated gaming computer into a headless server with Linux installed. I wanted a place to backup and store pictures and other useful stuff and also be accessible from the internet. Linux is a great system, but with time and responsibility, my time was limited. I couldn’t catch up with the latest news and every time a new big update was released I had forgotten how to setup the different software I used. The time was to move to a system designed for my needs and easy to use. My Diskstation and why I choose it. My first DS was a 4 bay NAS and was perfect for my needs and economy. A DS413J was unpacked and was a fun toy. My Diskstation was easy to setup and worked right away without much fiddling. Since this was a junior model, it is, of course, a bit limited regarding speed. But fitted my needs and was kind to my wallet. DS is a headless server and is a bit pricey compared to many of the others NAS devices. Since this is a headless server, we are less limited and can use it to so much more than a just a NAS. A perfect toy for a computer nerd with limited time. All the Diskstations have the operating system DSM that is made by Synology. DSM is the software that makes the DS run smoothly, and from a user perspective, it is similar to Windows. For a headless server, this makes it soo much easier and smoother to setup and maintain. I have all the advanced software that make a server complete but is yet very user-friendly. Later I wanted a media server and more speed. The junior model was designed in 2013 was a bit outdated; even it still does its job. I bought a DS216Play and is a fun and very useful toy. My new toy is now a media server and file server. Synology Diskstation has lots of functions, and I’m not using them all. So I will write about what I use it for and what I think is the most used apps and software for home users. My biggest use is to backup and file access. Since hard disk is now cheap, I have it all on my main computer, and I don’t need the file access. If you have limited space on your desktop or use mainly a laptop, the file access is great to have. I have used Dropbox a long time, so I have moved everything I want to store below my Dropbox folder. From there I sync Dropbox with my DS216Play. I know I can use DS own Cloud solution that works similar to Dropbox, without the online solution, and is free. At that time I only had one DS, and I wanted a remote backup that was not in my house. Now I can do it a bit different, but why change something that works. Life is short and the time limited. DS support RAID and if you want to use it as a backup you should use it. You have different ways to setup the raid and Synology also have its solutions. On my DS413J I use the solution that gives me one hard disk failure before I lose my data. I know there is many opinions about what to choose and if I should choose again, I think I will choose 4 big hard disks that allow 2 hard disk failures. At that time I was on a low budget and the hard drives smaller. I do daily backups from my DS216Play to my DS413J placed at my father’s house. This way my files is secure. Synology have data security as a high priority, especially since they make diskstation tailored to both professional and home use. Most of the functions are available for all to use and don’t need extra licensing or paid software. You may need a DS with the correct hardware to run some of the functions. Since this is a page is mostly for home use you can read more at Synology regarding data security. If the interest is there, I can write a post about it later. You can write a comment below or contact us. The Photo Station is a great tool that is improved all the time. From there I can share photos with friends and family. The software has face recognition function that is great if you want to show pictures to grandmom of here grandchildren. With the DS Photo app, you can access them from a tablet or smartphone. This way you don’t need to store huge amount of photos on your smartphone, all you need is an internet connection. It’s also very easy to show the pictures on a TV. The TV needs DLNA support or a connected Apple TV or Chromecast. I have a web server that I host, and I use it for a genealogy site. The need for fast download from multiple users has not been an issue so no need to put it online to a professional host and pay for it. If I want a homepage, I can install WordPress on the Diskstation and host this site also. DSM support both PHP and MariaDB so you can have a professionally looking homepage. My IP address changes sometimes and payment for my IP address and maybe faster transfer rate is for me better spent on a professional host. I just wanted to write that the possibility is there and works flawlessly in my tests. Video Station is software you can use to manage and stream your videos to your TV, tablet or smartphone. If you are on the move and want to watch a video while traveling, the DS Video app supports offline viewing. The video is transcoded to correct format to minimize storage space, and you also have the ability to auto search subtitles. Video Station have all the functions a modern media server should have. If you are not happy, you can also use third party software as Plex Media Server. Audio Station is a software you can use to stream your music library. I have not used it much so I have only my first impression. It works similar to Windows Media Player, and you can also add your favorite internet radio stations. I have to admit that after Spotify and similar services were released, for me this is not a necessary software. If you have a vast library of high-quality music, your own streaming service is great to have. Mailplus – Read, send and manage your emails from your Mail server plus. DS Video – Watch videos from your Video Station. DS Audio – Listen to music from your Audio Station. DS File – Access the files stored on your DS. DS Photo – Watch photos stored on your Photo Station. DS Cloud – Access your files stored on your cloud server. DS Cam – Watch the video stream from Surveillance Station. DS finder – An app which searches and find your diskstation. Then you can monitor, shutdown or restart your DS. DSM mobile – With this app, you can do the most used maintenance and management tasks on your DS. DS get – This is a remote download app. You can add download tasks to your Download Station. Diskstation can be used in small or big businesses as a server, and you have access to advanced management tools. This article is for home use I will just mention you have the ability and you can read more at Synology here. Again this is most used by companies, and I will not go more into detail for now. For home users, we have alternatives that are more common and ready to use. Synology has many products and uses a very logical naming of their products. DS – DiskStation, the desktop version. RS – RackStation, the rack version. I will not go in depth in naming this version. RX – Expansion unit for RS. VS – VideoSurveillance and is their camera surveillance system. EDS – Embedded Data Station. This is a diskless media server. The first number is the number of bays. Some units can have an expansion unit, in which case the max number will often be displayed here. The next numbers are the year the model was released. The last digit is the performance class that the model it is in. se – The least powerful version. Good to use as backup and cloud/file server. Not much more than this. j – Junior edition. Less powerful than the standard version, but more than se. – No last digits are the standard version. slim – This model is a standard version who can only fit 2.5″ drives and is smaller in size. Use less power and generate less heat and noise. play – This model has a dedicated transcoding chip and is great as a media server. + – The high-end model. Great for businesses. +II – This is the + model with an improved CPU. The reason is probably due to the old CPU is no longer in production, and they had to change. DS416play – DiskStation with 4 hard disk bays made in 2016 and is designed for transcoding. DS216j – DiskStation with 2 hard disk bays made in 2016 and is the less powerful junior version. Synology Diskstation is not only a NAS but also a headless server tailored for both home and business use. The DSM is an advanced with software for most uses. If you only want a NAS, Synology is not the best option for you. Other brands have products that do just that to a less price. If you want more functions, this is something for you. Want to read what I think about some of the diskstation?